PEARL HARBOR, Hawaii - The U.S. Navy's ninth multilateral Pacific Partnership mission will include an enhanced role for Japan, and simultaneous seaborne and airborne phases, to improve disaster response preparedness in five Southeast Asia host nations beginning in late May. Directly assisting host nations Vietnam, Cambodia, and the Republic of the Philippines, a Japan Maritime Self-Defense Force (JMSDF) ship will serve as this year's primary mission platform, marking the first time Pacific Partnership will be led from a partner nation's ship. A simultaneous airborne phase - also a first for the U.S. Pacific Fleet's annual humanitarian and disaster response-focused mission - will fly assistance into host nations Indonesia and Timor-Leste. "As we saw last November when our Philippine allies were devastated by a typhoon, being able to provide effective humanitarian assistance and disaster relief is critical to stabilize a crisis," said U.S. Pacific Fleet commander Adm. Harry Harris, Jr. "Because United States naval forces are forward deployed, where it matters, when it matters, we were able to quickly respond with ships, aircraft and personnel during Operation Damayan. "But we were not alone, as many partner nation militaries, civilian agencies and non-governmental organizations also provided assistance to the Philippines. That's why multilateral missions like Pacific Partnership are so valuable, because it prepares us in calm so we can effectively respond together in crisis." 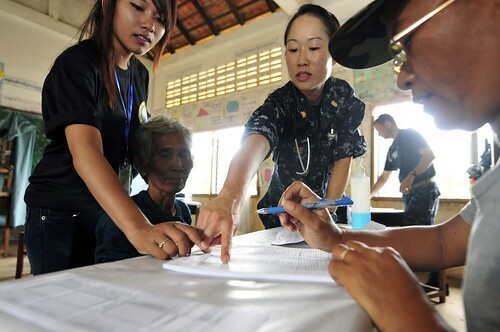 At the invitation of host nations, Pacific Partnership 2014 (PP14) unifies the efforts of partner nation militaries, host nation civilian agencies, and non-governmental organizations (NGO) to strengthen the collective ability of the international community to operate as a team in delivering foreign humanitarian aid in times of natural disaster or crisis. "We are grateful to the host nations of Cambodia, Indonesia, the Philippines, Timor-Leste and Vietnam, the civilian NGO specialists, and our military partners from Australia, Chile, Japan, New Zealand and Singapore for joining the Pacific Partnership 2014 mission," said Harris. "It is an historic moment in the progress of this vital mission that Japan is contributing the primary command ship. Friends help friends, and this multilateral mission will not only strengthen future disaster response preparedness, it will build trust and enhance interoperability so that we can continue improving regional security and stability." U.S. Navy leaders from Destroyer Squadron (DESRON) 21 will serve as mission commander and will embark the JMSDF command ship to oversee PP14. 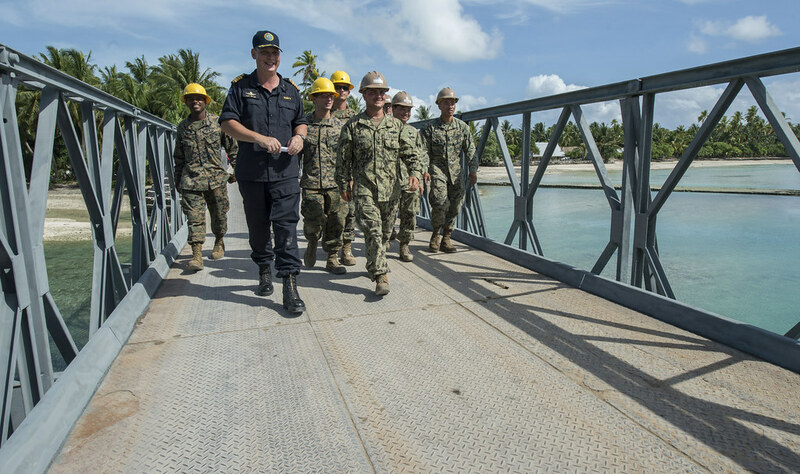 Simultaneously, Seabees from the U.S. Navy's 30th Naval Construction Regiment (30 NCR) in Port Hueneme, Calif., will deploy via air from Point Mugu, Calif., to lead the mission in Indonesia and Timor-Leste. Lasting for approximately two months, PP14 will feature a multinational command and control (C2) structure to include a Deputy Mission Commander from the JMSDF, a Mission Chief of Staff from the Australian Defense Force, a Deputy Phase Commander (Indonesia) from the Australian Defense Force, and a Deputy Phase Commander (Timor-Leste) from the New Zealand Defense Force. 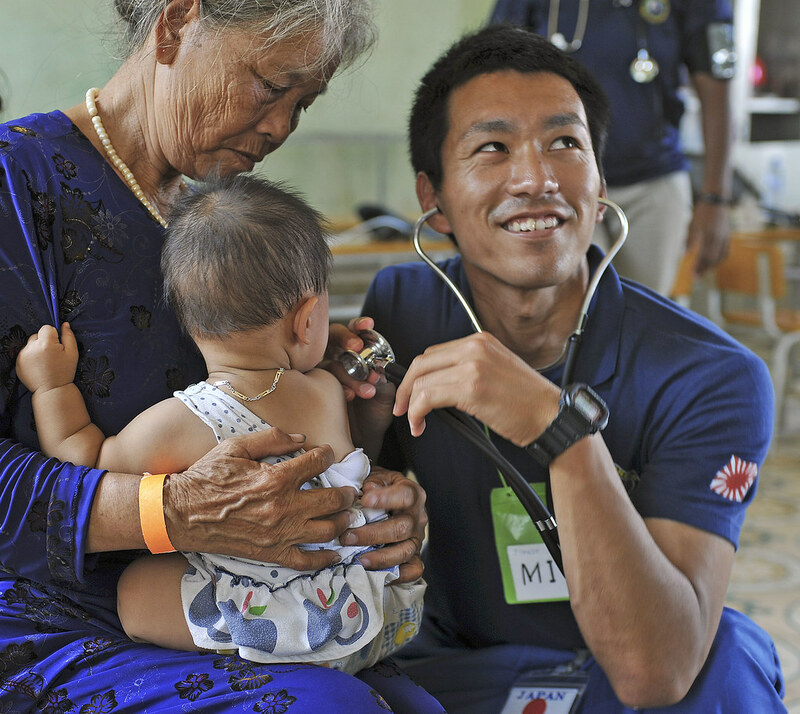 Born out of the devastation wrought by a 2004 tsunami that swept through parts of Southeast Asia, Pacific Partnership began as a military-led humanitarian response to one of the world's most catastrophic natural disasters. Building on the success of this operation, the U.S. hospital ship USNS Mercy (T-AH 19) returned to the region in 2006 for the inaugural Pacific Partnership mission. In successive missions, participants expanded to include partner nation militaries and NGOs working to increase the disaster relief capabilities of host nations. 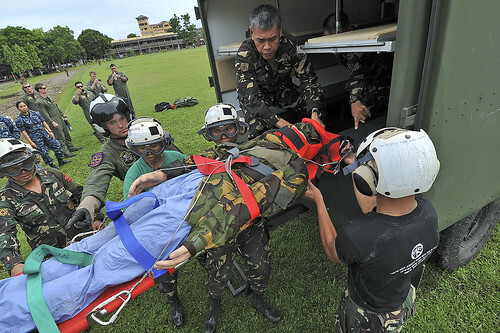 While training in simulated crisis-conditions, Pacific Partnership missions to date have provided real-world medical care to approximately 250,000 patients, veterinary services to more than 37,000 animals, accomplished more than 170 engineering projects, and enabled critical infrastructure development in Cambodia, Federated States of Micronesia, Indonesia, Kiribati, Palau, Papua New Guinea, Republic of the Philippines, Republic of Marshall Islands, Samoa, Solomon Islands, Timor-Leste, Tonga, Vanuatu and Vietnam. According to U.S. Navy Capt. Brian Shipman, mission commander and commodore of San Diego-based DESRON 21, the uniqueness of this year's mission is due to the expanded leadership of partner nations. "In previous years, the U.S. Navy provided the command ship for the mission, with partner nations providing a mission platform for some of the specific phases," said Shipman. "This year, our Japanese allies are providing the command ship, which is a natural progression of previous efforts. I am extremely proud of the hard work that has gone into planning this year's mission. Everyone involved understands that we're not only helping our partners become more resilient and better prepared for humanitarian contingencies, but we are also making a long-lasting impact in the host nation communities where we will be working." Building on the lessons of previous missions, PP14 will increase regional stability and security, open dialogue between leaders, cement new and enduring friendships, build mutual trust and respect. While Pacific Partnership brings together a great number of like-minded organizations focused on making a long-term difference, Harris also pointed out that the mission goes beyond the actions of training while improving engineering, medical, dental, and veterinary services. "As I travel through the region, military and civilian leaders all agree about the necessity of being able to work together in order to respond quickly and effectively to natural disasters and crises like the missing Malaysian Air Flight 370," Harris said. "Working cooperatively in a multilateral way allows partners to share the workload, leverage the capabilities of more than one nation and civilian agency, and learn from each other through an exchange of ideas. So not only does Pacific Partnership have a long-lasting impact on future readiness, it also helps the U.S. Pacific Fleet better understand the maritime security needs of our allies and partners."